I was recently sent a change bag to test out from the lovely people at Rosebud London and here are my thoughts. Rosebud London is the company of Charlotte Pearl (who is also known for the well known changing bag brand Pink Lining) Charlotte created the brand Rosebud London in response to a demand for a competitively priced change/ mothers bag that still ticked all the style boxes and so Rosebud London was born! There current design is the lovely Love Bloom and this comes in 4 diffrent styles of bag the Tote, Hobo, Messenger and Changing station. I was sent the Tote to try out and I have to admit this is my personal favorite of the 4! The Rosebud London tote changing bag features a wipe clean outer body fabric with exclusive print design. As well as an adjustable shoulder/buggy strap (22 inches shortest & 41 inches longest) with the longest strap being perfect for chucking over your shoulder or hanging over the back of the pushchair. The bag also features a mobile/blackberry pocket, key/pen fob and pen loop (as we all know rooting around for our phone as its going off or our keys when we are stood out in the rain is no fun lol) so these features are really handy to have. The dimensions of the bag are 15 x 29 x 39cm (D x H x W) and the bag provides plenty of space and pockets to fit everything you need inside! I have packed this up to use as my hospital bag for peanut and have managed to fit 1 whole pack of nappies, 4 vests, 4 sleepsuits, 2 hats, 2 sets of mittens, sudocreme, 1 pack of wipes and 3 bibs inside and it has all fit in comfortably so plenty of space for all the every day items you would need for baby on a day to day basis. Overall I love this bag! It has a unique eye catching design as well as featuring all the pockets and space you could need. It retails at around £40.00 and I feel this is a great price for a good quality product that also features a change mat! The bag feels and looks well made and very sturdy (even featuring small metal studs to the base of the bag to stop it getting damaged when placed onto the floor). or you can find Rosebud London and keep up to date with all their designs here on Facebook here .. Rosebud London facebook or Twitter here... Rosebud London Twitter. What a cute bag! I don't have a baby to change, but still like the bag! What a beautiful changing bag, it made me nostalgic, my son is almost 5 but I remember clearly being on the hunt for a nice changing bag. We still use change bags and I have loads of boring ones around the place! This one looks brilliant, huge fan of that design. I love the look of that, it is so pretty. That looks lovely. I bought far too many changing bags when mine were little. I think I had a changing bag and pushchair problem in that I couldn't stop buying new ones! 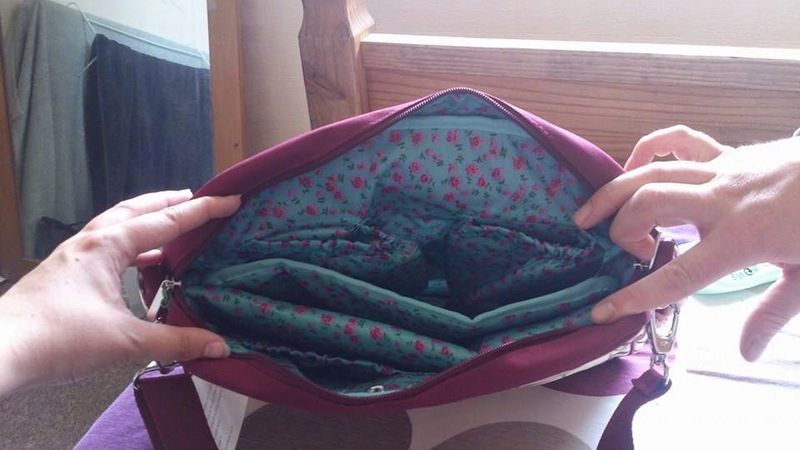 This looks an amazing bag - there was nothing like this when I had my babies! What a lovely, well priced bag. I treated myself to a pink lining bag with my youngest and it's wonderful. This is a lovely alternative, good price but excellent quality. Oh my that is so gorgeous and practical. I can't believe how much things have come on since I had my oldest son. 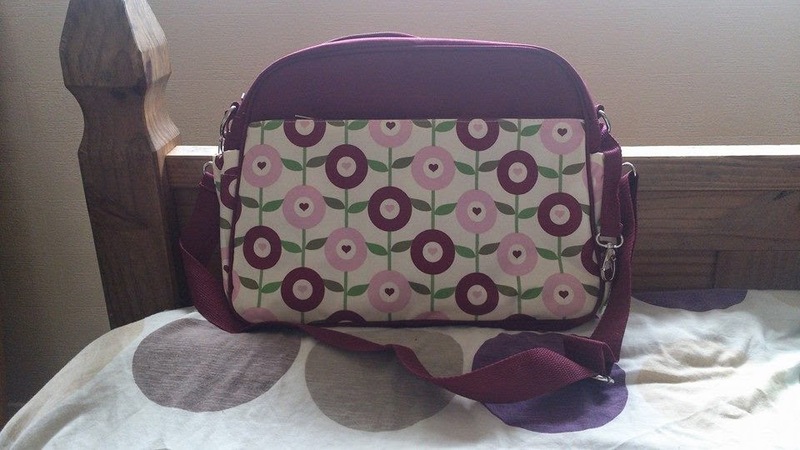 This bag looks lovely and it's priced very reasonably. 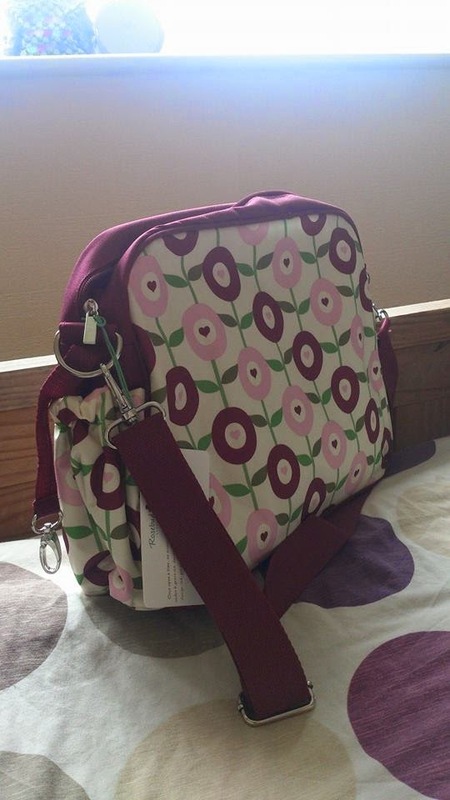 What a lovely bag - it's got a bit of an Orla Kiely / Scandinavian vibe about it - both of which I love! THat fabric is gorgeous - I want it and I don't even need a nappy bag! The perfect marriage of style and practicality - a change-bag to fight frump!